It wasn't just an important night for the Democrats and Trump. Tuesday's midterm elections were also a record-breaking event for desi Americans. An unprecedented number of South Asians ran for national, state-wide and local office posts. Some were even elected in states as remote as Kentucky. Most ran as Democrats. Here is the Barfi Culture rundown of who ran, who won and who lost. (If we missed any out, let us know by Twitter or Facebook). 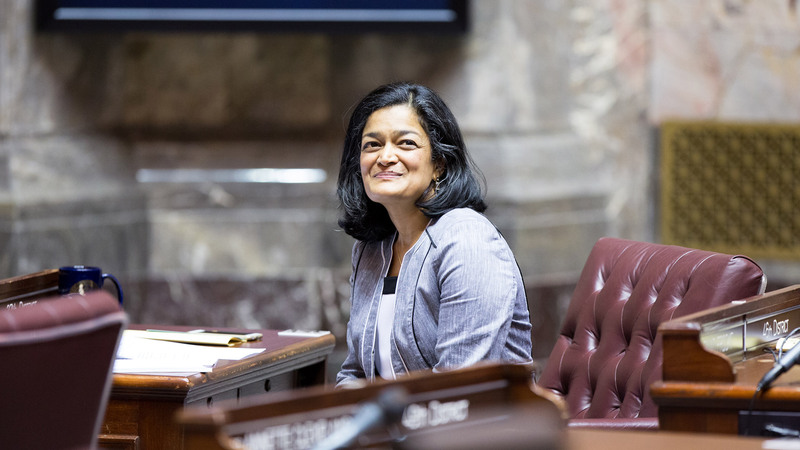 The upshot: While no new desis were elected to the House or Senate on a national level, many candidates made history by winning at state level. Wait, what are midterm elections? Midterm elections take place halfway during Presidential terms, every four years. In a midterm, all 435 members of the House of Representatives, and one-third of the Senate, are up for election. It is also when state representatives, state senators and most local public officials are elected. Everyone from Mindy Kaling, Padma Lakshmi, Hasan Minaj, Kal Penn and Kumail Nanjiani urged people to vote. Groups also made videos urging voters in Urdu, Hindi, Gujarati, Bengali, Malayalam and Punjabi. Some, like singer Roopa Mahadevan, even offered a personal plea. Which desis ran and won? While candidates of South Asian heritage did not increase their numbers at national level, they did make a lot of progress at state and local levels. This week, Nima Kulkarni (pictured below) became the first state representative of Indian heritage in Kentucky. We created a spreadsheet of national and state-level candidates. It includes Josh Kaul, who became the first Hindu American to be elected State Attorney General, in Wisconsin. Mujtaba Mohammed became the first state senator of South Asian heritage elected in North Carolina. Kevin Thomas became the first Indian-American elected to the New York state senate. Despite high hopes, many promising candidates who ran in national congressional races failed to win. Here is a list (it excludes desi candidates who lost at state level). Sanjay Patel was a Democratic candidate for Florida's 8th Congressional District. Anita Malik was a Democratic candidate for Arizona's 6th Congressional District. Chintan Desai was a Democratic candidate for Arkansas' 1st Congressional District. Aftab Pureval was a Democratic candidate for Ohio's 1st Congressional District. Hiral Tipirneni was a Democratic candidate for Arizona's 8th Congressional District. Jitender Diganvker was a Republican candidate for Illinois's 8th District (ran against Raja Krishnamoorthi). Agha Khan was a Republican candidate for New Jersey's 10th Congressional District.